Tobacco products will now be sold through shops that hold a licence. Ministry of health and family welfare has separated the sale of tobacco products from shops that sell non- tobacco products like toffee, candies, chips, biscuits, soft drinks etc. which are essentially meant for children. Through it’s letter dated September 21 issued to all states, the union health ministry has called for effective regulation of tobacco products and called for a mechanism for sale of tobacco products only though retail shops permitted/authorised through municipal authority. It has said that that as a pre- condition, civic bodies will ensure the shops authorised to sell tobacco products cannot sell any non - tobacco products such as toffees, candies, chips, biscuits, soft drinks etc. “We believe that such as initiative will prove to be beneficial in achieving the objective of preventing the children /non-users from the exposure to tobacco products. We would be happy to extend any technical support which you may need,” Jha added. “Essentially the ministry desires to license the sale of tobacco through authorized vendors only and in this case sale of candies, chocolates, biscuits etc., would lead to cancellation of their licence. Many vendors also store cigarettes along with such products to lure children so they get exposed to tobacco. Many tend to start using tobacco. This order is a big blow to the marketing tactics of most tobacco companies from targeting kids. 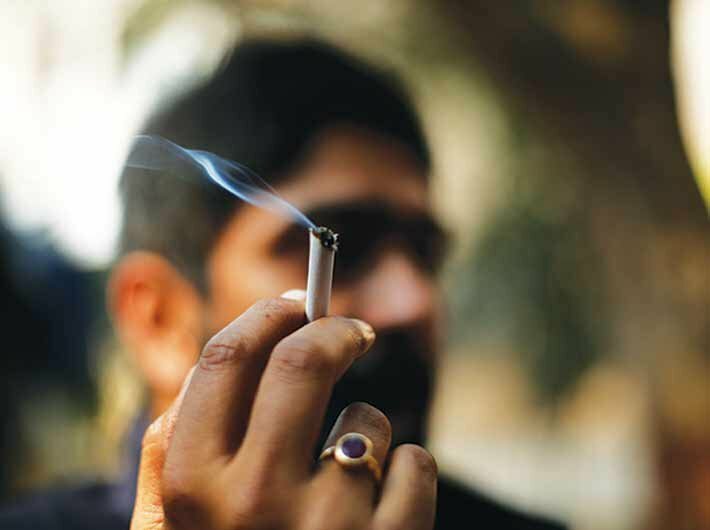 Such an action will prevent mushrooming of authorized shops and shrewd marketing of tobacco to kids,” said Dr Pankaj Chaturvedi, head and neck cancer surgeon,Tata Memorial Hospital and an anti-tobacco activist. The central government has enacted the Cigarettes and other Tobacco products (Prohibition of Advertisement and Regulations of Trade and Commerce Production, Supply and Distribution) Act, 2003 (COTPA) to discourage the use of tobacco. The act emphasises on protection of children and young people from being addicted to the use of tobacco with a view to achieve improvement of public health. COTPA 2003 specifically prohibits smoking in all public places, prohibition of direct and indirect advertisement, promotion and sponsorship of cigarettes and other tobacco products, prohibition of sale of cigarettes and other tobacco products to minors and within 100 yards of any educational institution and necessitates display of health warning including pictorial warning on ill effects of tobacco use on the packages of all tobacco products. The central government has also enacted the Juvenile Justice (Care and Protection of Children) Act, 2015 which makes giving or causing to be given to any child, any tobacco product punishable with rigorous imprisonment for a term which may extend to seven years. The Food Safety and Standards Act, 2006 (FSS Act, 2006) ensures availability of safe and wholesome food for human consumption and inter-alia prohibits using of tobacco and nicotine as ingredients in any food products.